Adaptation of received customer artwork to ready for production. Email proofing of the artwork super-imposed onto the correct colour chips. All our processes are carried out on site in the UK by our production team. 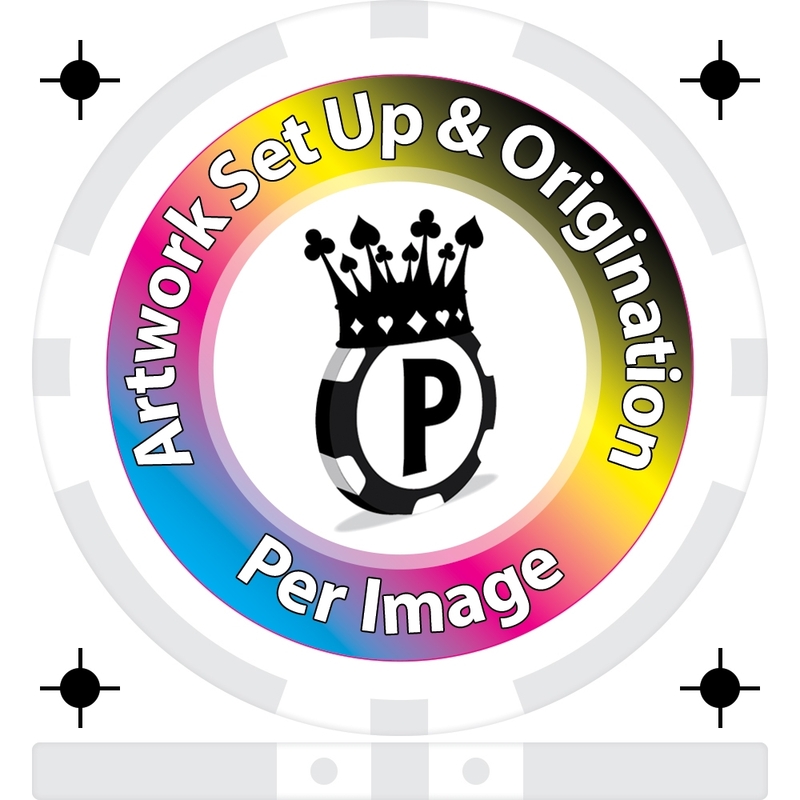 Each different image is classed as a different Artwork Set Up. So for example a single sided design = 1, same design both sides = 1, different design either side = 2 and so on. Full colour CMYK and/or Metallic Ink print process. f you have any questions and queries regarding this product, OR would like us to design your chips, please don't hesitate to Contact Us or Send us an email.